The Division of Endocrinology and Metabolism has a 50-year tradition of excellence in basic and clinical research. The National Institutes of Health, the American Diabetes Association, and the sponsors of pharmaceutical trials provide major support for Division research programs. 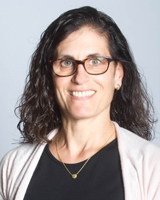 Dr. Horwitz is a clinical metabolic bone researcher with a primary interest in the interaction of parathyroid hormone (PTH) and parathyroid hormone-related peptide (PTHrP) on mineral homeostasis, the skeleton, and vitamin D metabolism. This work has evolved to include NIH-sponsored clinical studies in osteoporosis, humoral hypercalcemia of malignancy, and hyperparathyroidism as well as lactation and its calcitropic/skeletal biology in both Caucasians and African-Americans. Dr. Horwitz has also collaborated on numerous osteoporosis and epidemiology studies with epidemiologists at the University of Pittsburgh Graduate School of Public Health. Dr. Jurczak’s lab is primarily interested in the relationship between nutrient excess, mitochondrial overload, and the pathogenesis of metabolic diseases, such as fatty liver, insulin resistance, and type 2 diabetes. Mitochondrial dysfunction and ectopic lipid accumulation in liver are both associated with insulin resistance in human subjects, but the cause and effect nature of these associations remain unclear. Dr. Jurczak’s lab is specifically interested in a mitochondrial repair mechanism called mitophagy that regulates the selective removal of damaged mitochondria via the autophagosomal pathway. Because autophagy is suppressed in mouse models of obesity and fatty liver disease, it is likely that mitophagy is similarly impaired and may contribute to the decline in mitochondrial function seen in human patients. Interestingly, a key component of the mitophagy pathway, a ubiquitin E3 ligase called Parkin, is upregulated in liver of obese mice. This change may represent a compensatory response to remove damaged mitochondria from hepatocytes or result directly from the loss of autophagy. Dr. Jurczak’s group is using a genetic approach to test whether the loss of Parkin-mediated mitophagy in liver predisposes mice to mitochondrial dysfunction, ectopic lipid accumulation, and insulin resistance. The lab employs in vivo and ex vivo approaches in transgenic mouse models and specializes in using radioactive and stable metabolic isotopes to measure substrate turnover and flux. Dr. Kershaw’s academic mission is to forward the understanding and treatment of obesity and related metabolic disorders by combining basic and translational research with clinical expertise. Obesity is a global public health threat that is frequently associated with additional metabolic abnormalities including insulin resistance, glucose intolerance, dyslipidemia, and hypertension (the metabolic syndrome). Together these abnormalities contribute to diseases affecting virtually every organ system. Dr. Kershaw’s laboratory focuses on defining the mechanisms by which intracellular lipid metabolism (synthesis, storage, hydrolysis, and oxidation) contributes to obesity and associated metabolic disorders. Most recently, Dr. Kershaw’s research efforts have focused on pathways of triacylglycerol hydrolysis (lipolysis) – arguably one of the most fundamental processes in metabolism. Dr. Kershaw is working to define how tissue-specific triacylglycerol hydrolysis contributes to metabolic phenotypes, not only in the metabolic syndrome, but also in variety of other diseases ranging from infertility to cancer. Another major focus of her laboratory is to identify and characterize additional proteins and pathways that contribute to metabolic disease. These efforts fall into two main areas: 1) characterizing novel adipocyte-secreted factors (adipokines) and their relationship to metabolic disease in humans, and 2) characterizing novel genes/loci linked to metabolic disease in humans. Dr. Kershaw’s laboratory uses a combination of molecular, cellular, physiological, and translational approaches. The ultimate goal is to develop more effective strategies for prevention and treatment of obesity and associated metabolic disorders. 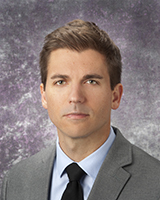 Dr. Korytkowski’s research focuses on improving the inpatient and outpatient care of patients with diabetes. 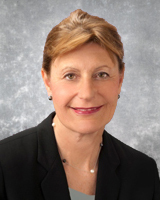 She is involved in research and quality improvement initiatives related to inpatient management of diabetes that includes the transition of care between outpatient and inpatient settings. 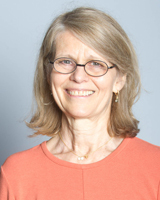 She is a co-investigator for the NIH sponsored Look AHEAD Study (Action For Health in Diabetes) that is examining the long term effects of an intensive lifestyle intervention with diet and exercise on long-term cardiovascular outcomes in people with type 2 diabetes. She is a co-investigator in the NIH funded Diabetes Sleep Treatment Trial that is investigating the contribution of treatment for obstructive sleep apnea on diabetes outcomes when combined with a program of diabetes education, and two NIH funded studies being conducted in collaboration with Dr. Helgeson at Carnegie Mellon University that investigates the contribution of social support to outcomes in adults with type 1 and type 2 diabetes. 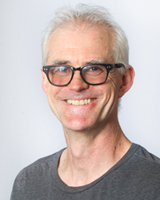 Dr. O’Doherty’s research is focused understanding the biochemical and molecular mechanisms that link obesity, insulin resistance, dyslipidemia, and inflammation in the metabolic syndrome. Current efforts focus on the mechanistic relationship between steatosis and insulin resistance and the role of increased activity of the innate immune system/inflammatory pathways in the pathogenesis of insulin resistance in obesity. 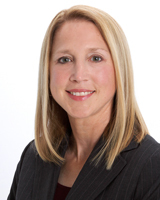 Dr. O’Doherty is Director of the Center for Metabolism and Mitochondrial Medicine (C3M), Metabolism Unit. Dr. Ramakrishnan’s research interest is to understand the role of gastrointestinal hypoxia signaling in metabolism, obesity, type 2 diabetes and cancer. Tissues constantly experience a dynamic change in cellular oxygen levels influenced by oxygen consumption and utilization. Cellular response to changes in oxygen tension is mediated at the molecular level by the highly conserved transcription factors, hypoxia-inducible transcription factor (HIF). Numerous studies have established the important roles of hypoxia signaling in various pathological disease models. However, the physiological role of hypoxia signaling is not well understood. 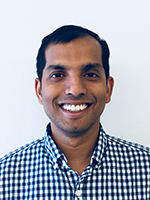 The overarching goal of Dr. Ramakrishnan’s research program is to determine the conserved role of hypoxia signaling in metabolic elasticity as an impetus to design effective therapies to treat metabolic diseases and their complications. The goals of his research are to: (1) determine the mechanisms by which the physiological cues activate hypoxic responses, (2) determine the role of hypoxic signaling in the sensing and regulation of metabolic homeostasis, (3) determine the role of hypoxia-mediated metabolic adaptation in cancer and (4) identify isoform specificity and therapeutic use of HIFs in metabolic diseases and cancer. Dr. Siminerio’s focus is on diabetes health care delivery models, quality improvement, self-management, community interventions, and overcoming barriers to diabetes care in underserved populations. Her research is currently focused on translating diabetes treatment and prevention programs into community-based settings, such as the Patient Centered Medical Home. Dr. Siminerio served as Past President of Health Care and Education for the American Diabetes Association, Chair of the International Diabetes Federation’s Building Research in Diabetes Global Environments and Systems (BRIDGES) translational research program and Chair of the National Diabetes Education Program. Dr. Toledo’s clinical and translational research lab is focused on understanding the etiology of diabetes in humans and developing new treatments. His research program is specialized in the measurement of human metabolism in vivo and employs state-of-the-art methodologies such as euglycemic clamps, IVGTTs, stable-isotope tracer methods to measure lipid and glucose metabolism in vivo, indirect calorimetry, and muscle and fat biopsies. Dr. Toledo’s studies have focused on understanding the complex relationships between mitochondrial energetics, morphology, and the development of insulin resistance in diabetes and obesity. He has pioneered studies demonstrating the specific effects of weight loss and exercise on mitochondria in the context of diabetes and insulin resistance. Recently, Dr. Toledo has been investigating the effects of hydroxycholoquine and neutrophil elastase inhibition to develop new treatment strategies for disordered glucose metabolism in humans. Dr. Toledo has also been the PI of pioneer studies demonstrating the feasibility and clinical outcomes of videoconferencing Telemedicine consults to deliver diabetes care remotely. 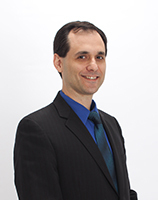 Dr. Toledo is the Clinical Research Director of the Center for Metabolic and Mitochondrial Medicine. In addition to the circadian rhythms (rhythms with a period of ~24h), biological rhythms with a period of ~12h also exist. Dr. Zhu’s lab recently discovered a cell-autonomous mammalian 12h-clock that runs independently from the circadian clock to regulate 12h oscillations of gene expression and metabolism. Mammalian 12h rhythms are highly conserved evolutionarily and hypothesized to evolve from the 12h circatidal clock from certain marine animals. 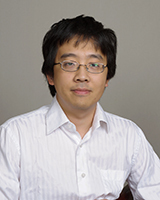 Dr. Zhu’s lab is currently investigating the regulation as well as the physiological/pathological functions of the 12h-clock, taking a combination of computational, biochemical, genetic, cellular, imaging and genomic approaches. Three specific areas of the study are 1) to determine how the 12h-clock transcriptionally regulates the metabolism dynamics and how the metabolism feeds back to influence the 12h rhythms of gene expression through epigenetic and other mechanisms; 2) to establish the causal relationships between the disruption of a 12h-clock with progression to aging-related diseases and the aging process as a whole, with the ultimate goal to successfully translate the knowledge into chronotherapy-based medicine and disease prevention; and 3) to determine whether the 12h-clock mediates rhythmic inter-organelle communications among the nucleus, ER and mitochondria and how dysregulated rhythms of inter-organelle communications contribute to metabolic and age-related diseases.